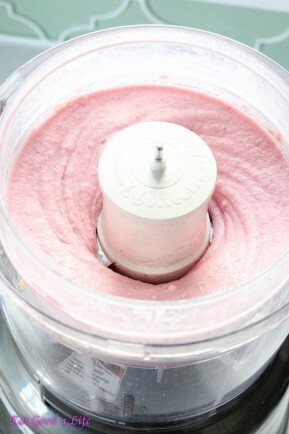 Have you tried to make ice cream with frozen bananas before? If you haven’t I suggest you start with this banana yogurt ice cream. Not only it is healthy, gluten free, vegan and it only takes 5 minutes to make, it is truly the bomb! 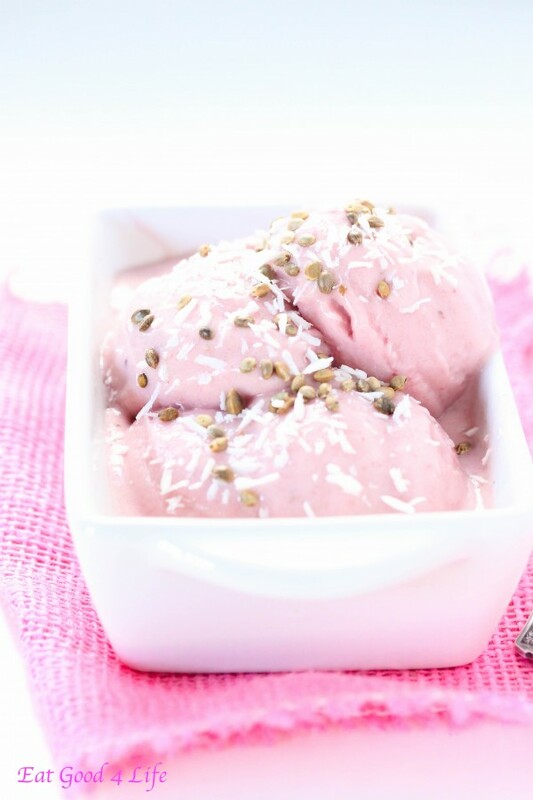 If you are on a new journey or continuing with your healthy lifestyle I suggest you try this ice cream recipe in place of regular ice cream. 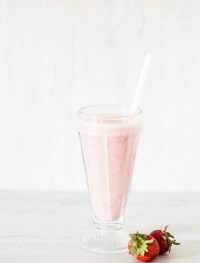 I often times serve this as a snack for my kids and also make it on the spot when we are craving ice cream since it only takes 5 minutes to make. I just make sure I keep plenty of frozen bananas in the freezer at all times. The first time I made this recipe I couldn’t believe how easy and good it tasted. 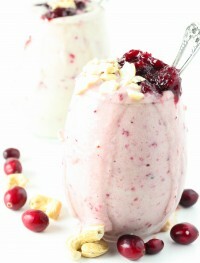 It is really sensational, just like real ice cream but way healthier. 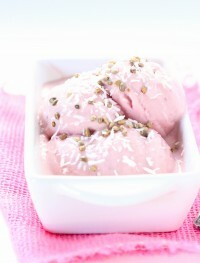 To keep this banana yogurt ice cream vegan I used Silk Dairy-Free Yogurt. This variety is dairy free so it is vegan, a great alternative for your vegan free recipes. Now I know where to turn when it comes to using a dairy free variety yogurt in my recipes. 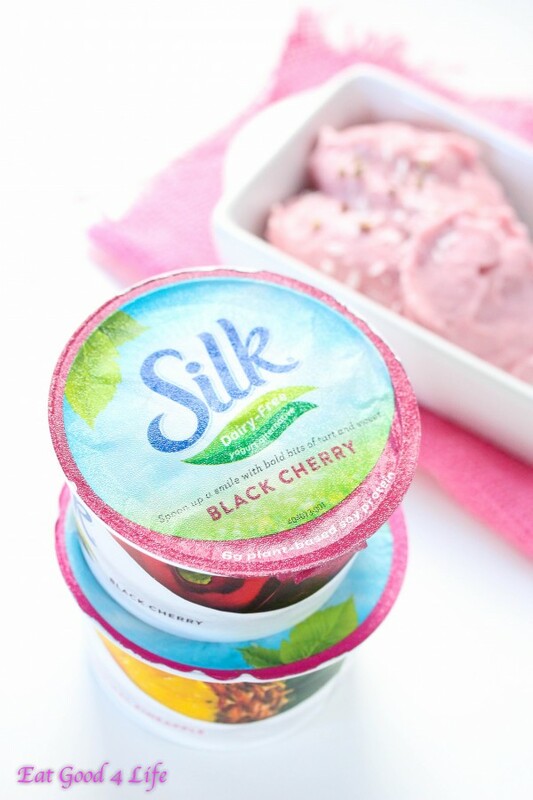 Another great thing about Silk Dairy-Free Yogurt Alternative is that it has 6g plant-powered protein per serving, it is made with real fruit, and has no artificial flavors, colors or carragean. 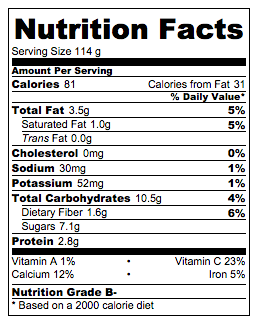 All good things since I am a dietitian and I look for top of the line ingredients in all food staples. To learn more about Silk and join their newsletter visit their page here. I am sure you will find interesting information and great ideas on how to incorporate this dairy-free yogurt variety into your diet. 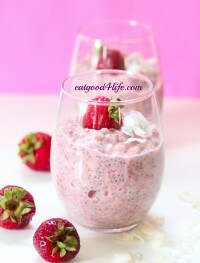 You can use anySilk Dairy-Free Yogurt flavor of your choice for this recipe. Anything goes really. Another great thing about this recipe is that you don’t have to add any sweetener of any kind because the bananas are sweet enough. My kids actually think they are having the real thing. 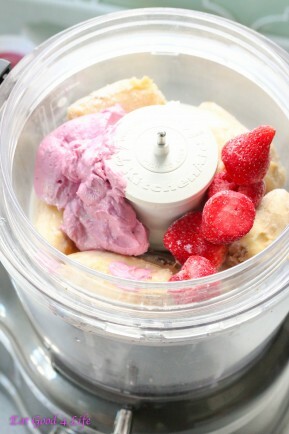 For this banana yogurt ice cream I also used some healthy topping. Hemp seeds and unsweetened shredded coconut. I have also used cacao nibs in the past as well as nuts. Anything goes so get creative with your healthy toppings. I forgot how easy and good banana ice cream was. I have actually froze a few bananas yesterday that were going bad so I know I will be making this in a couple of days again. Such a great, healthy ice cream option. I hope you get to try this soon. If you do let me know how you liked it. Here you can see the mixture before and after. It will take a couple of minutes. Just make sure you stir the contents with a spatula once or twice in between to make sure all the chunks get incorporated. In a food processor add all the ingredients except the hemp seeds and coconut. Pulse until the mixture is combined. You might have to stop the food processor a couple of times to move the fruit chunks around to make sure they mixture is homogenous. 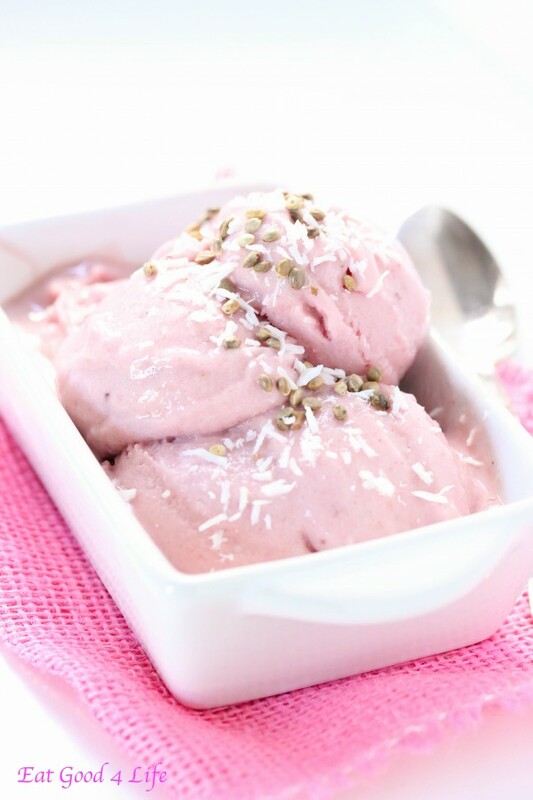 Sprinkle some hemp seeds and shredded coconut over each serving. Delicious ice cream… my son loves silk milk… I will make it for him. However, I am not a silk person… can I substitute with other milk? this is the milk that just came out right? I have yet to try it because my patients were already asking me about it.